When it comes to insurance for restaurants, we at JMI Insurance are experienced experts. We have decades of experience working with Portland business insurance, and we are excited to be able to provide the best restaurant insurance Oregon has to offer. Let our dedicated insurance agents find a policy to protect your restaurant today. Running a restaurant is no picnic. Simply cooking all of the food and making sure your customers are happy is a challenge in and of itself. Add on the challenges of a lawsuit, physical damage to your establishment or a loss of income, and running a restaurant can be overwhelming. Restaurants face a host of risks on a daily basis, and without adequate insurance in place those risks can add up to make for one massive headache for you. Restaurant insurance is one of the most important business expenses you will encounter when running a restaurant. Our insurance specialists will use their experience and knowledge to find an insurance policy that covers your restaurant from unexpected occurrences like customer injuries, employee injuries and fire damage. 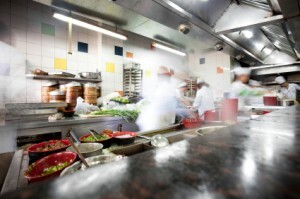 Having quality insurance coverage for your restaurant will make it so you aren’t liable for mishaps such as these. It will also allow you to keep your doors open if a mishap occurs so that you don’t miss out on business that you don’t have to. Our customer service is on par with our ability to find you a satisfactory insurance policy. In other words, our customer service is excellent. We place an equal importance on all of our customers and clients, no matter how big or small their business is. We are a local and independent Portland insurance agency, which enables us to work solely for the interests of our customers. Our diligent and devoted insurance agents will go out of their way to speak with you. Whether it is face to face or over the phone, our agents are always available to field questions and clear up confusion. If you are unclear about anything in your insurance policy, we will help you understand it. If you want to experience insurance done the right way, JMI Insurance is the way to go. Our commitment to our customers and our determination to find you the best possible insurance policy is unmatched. Contact us today by phone or online to get started on a free, restaurant insurance quote.